Bolster your rations and take on Mirke as a new ally. Obsidian Entertainment’s Pillars of Eternity 2: Deadfire was quite acclaimed on release and might be one of the best RPGs of the year. The developer is only just getting started with its support though. The latest DLC, called the Rum Runner’s Pack, is out now and free for all players. Along with new items to bolster your rations (acquired by a merchant in Deadfire) and a new personality setting, the DLC also brings Mirke, a new female companion that can be recruited. The developer has also promised more improvements and features like changing one’s appearance at any point in the game. Expect to see that feature in the Beard and Hair Pack DLC which will launch in early June for free. 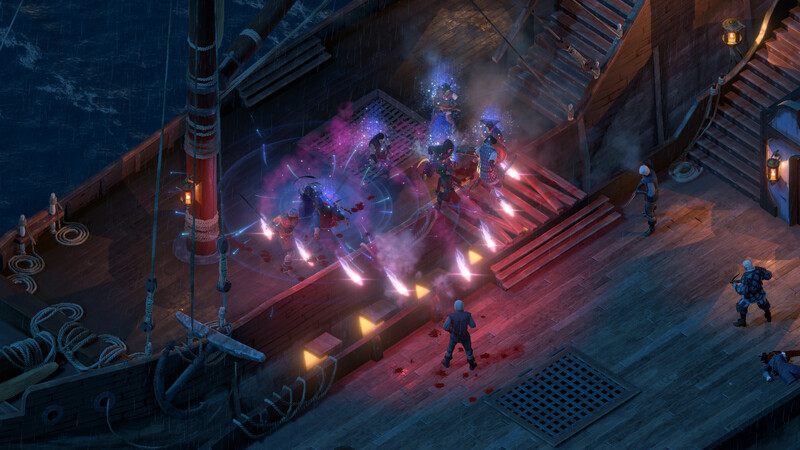 Pillars of Eternity 2: Deadfire will also receive three paid expansions down the line with its $25 Season Pass. The expansions include Beast of Winter, The Forgotten Sanctum and Seeker, Slayer, Survivor. They’ll be priced at $10 apiece if you don’t want to splurge on the Season Pass.